John Scheinfeld’s documentary combines John Coltrane’s own words (read by Denzel Washington) with insight and praise from his fans; everyone from Carlos Santana to President Bill Clinton. Can you imagine Trump contributing to a music doc? Not unless it’s Angry American: The Toby Keith Story. Although words like “heavenly”, “angelic” and “celestial” are used repeatedly to describe the great saxophonist, it never feels hyperbolic, because it’s backed up by the music; progressive, free and beautiful. Whether or not you believe in divine inspiration, you’re left believing in Coltrane’s belief in humanity, to say nothing of his genius. His insatiable creativity pushed at the limits of music and, the film convincingly argues, of consciousness itself. To him it wasn’t even “jazz”, that was just how they sold it. 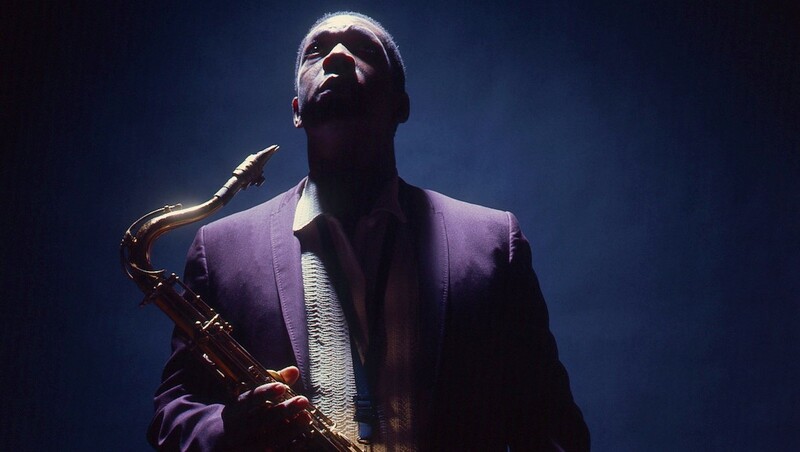 Deeply spiritual but notably irreligious, Coltrane wanted his music to be a force for good – and by the end of the documentary, it’s obvious that he succeeded. Where Whiplash failed to appreciate that great art comes from a place of love, not competition, Chasing Trane is built on this idea. And while the film can occasionally ramble (a segment involving a Japanese super-fan doesn’t quite gel), the music and its creator make for an effortlessly uplifting documentary. All we need now is one about Alice Coltrane, please.